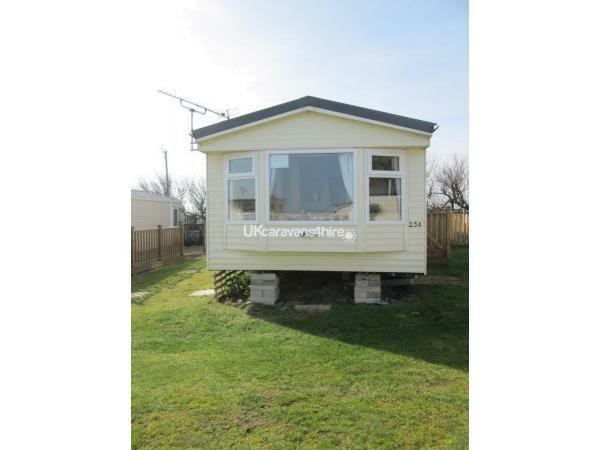 Fully enclosed private balcony/decking area with garden furniture. 20% deposit ( non refundable) at time of booking and balance 28 days before the start of the holiday. Please state the number of adults and children uner 18 when enquiring together with any pets, thank you. 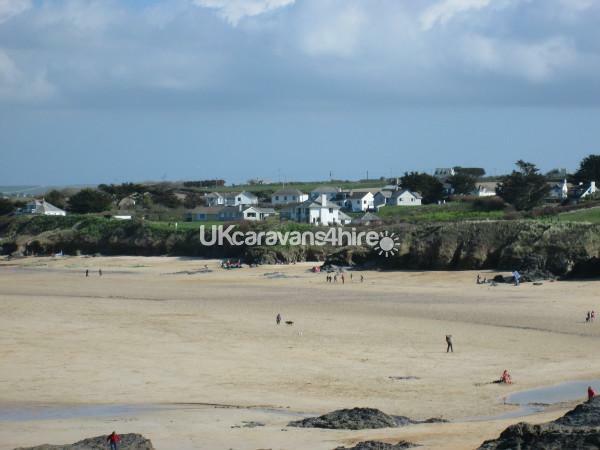 The area is outstanding and there are lovely coastal walks and you can visit the local 7 glorious beaches in the 7 days of your holiday which are all accessible without the use of motorised transport. Championship golf course next door. 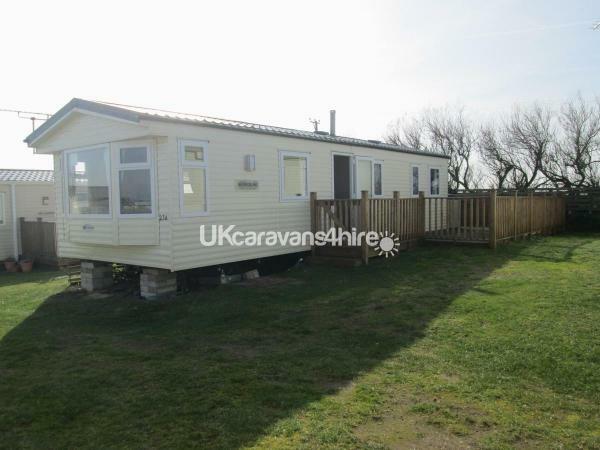 Our caravan is a spacious 3 bedroom caravan and situated at Harlyn Sands Holiday Park. 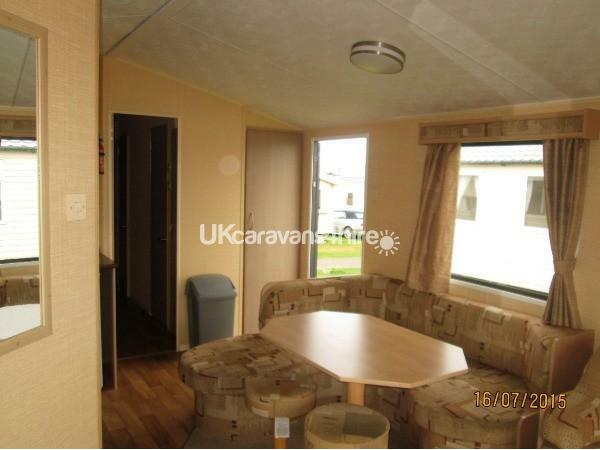 The caravan has plenty of room to relax in comfort. The lounge area has seating all round complete with free view TV/DVD player. 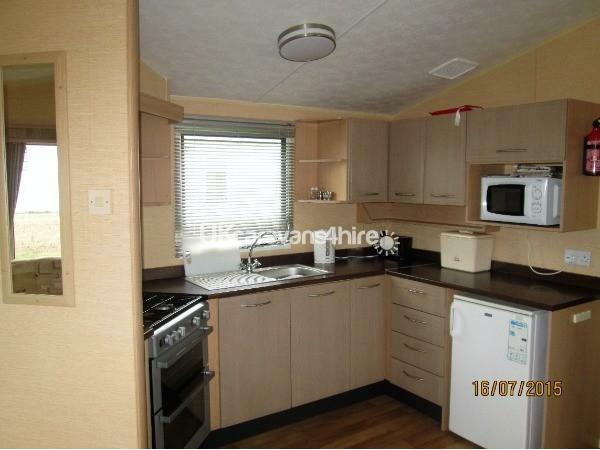 The kitchen comes fully equipped ready for use including a fridge freezer and microwave. 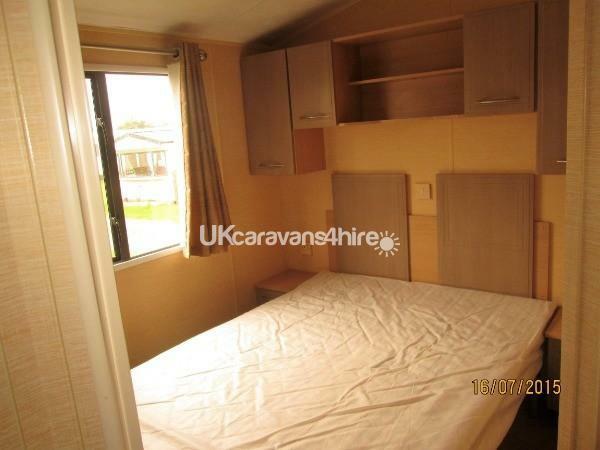 There are 3 bedrooms, 2 double bedrooms and a bedroom with 2 single beds in. All bedding for 6 persons both quilts and linen are provided and are made up for your arrival. Any additional occupation, we ask you to provide the bedding. There is a separate toilet and a separate/toilet shower room. We can also provide a travel cot and camp bed on request. .We appreciate that pets are part of the family so we will allow 2 dogs with prior agreement at no extra cost .We kindly request that dogs are not left unattended in the caravan at any time and are exercised on a lead whilst on the site and that dogs are respectful of the furniture. There is site WiFi available and mobile reception is reasonable. 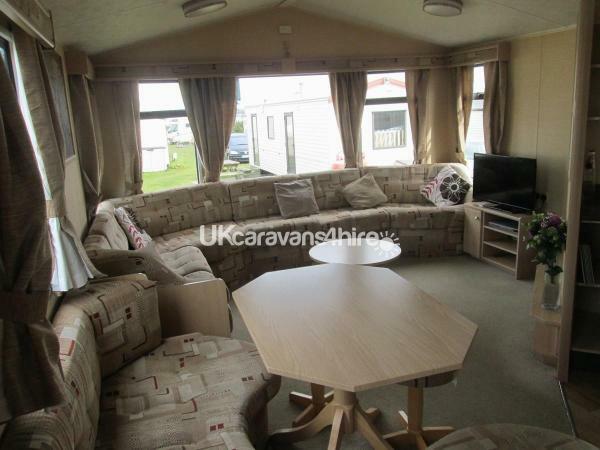 We use the caravan for both ourselves and our family as a holiday home as well . 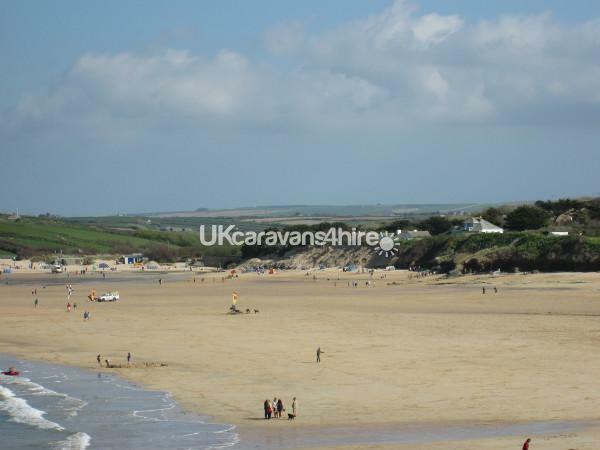 Harlyn Sands Holiday Park is a very safe environment for children and the beach is just a few minutes walk away with plenty of water sports available. We appreciate that pets are part of the family so we will allow 2 dogs with prior agreement at no extra cost . We accommodate weekend and midweek breaks, but not in the high season, prices on application. We also will give a discount for a 2 week booking.